A right lipstick can always make your day better even when you are not wearing any other makeup. 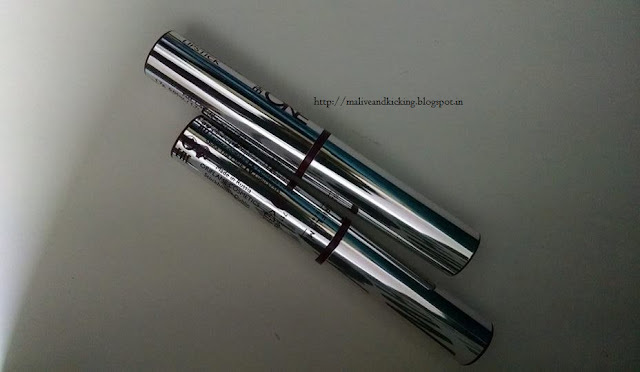 For me, Lipstick game is always strong because this is the only makeup which is essential part of my everyday look. 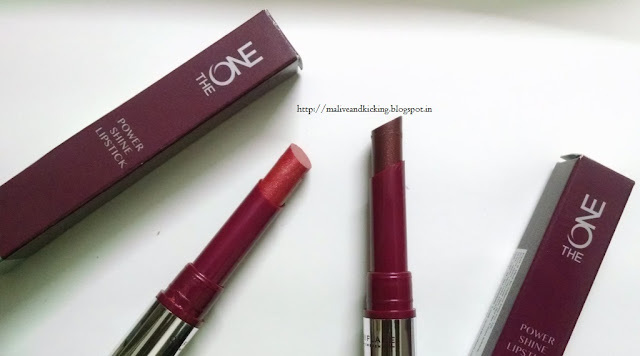 Today's I'm reviewing two lipsticks from The One Power Shine range of Oriflame in shades Cocoa Burst (30444) and Red Ovation (30441). Medium coverage lipstick in pearly shades with ultra-reflective Meta Shine pearls for amplified shine. Infused with caring LipKiss Complex for softer, smoother lips and even more shine. 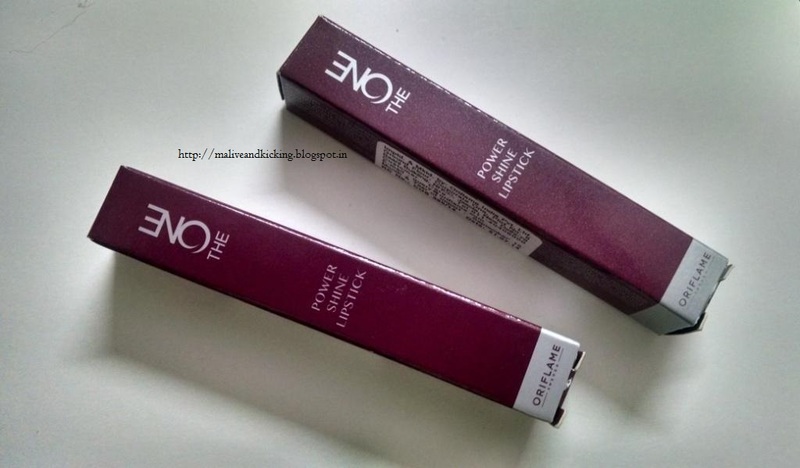 The lipsticks are packed in mauve colored cardboard box on the outside. The sleek, shiny, silver lipstick bullet's packaging is super cool to look at. The Red Ovation shade is not that intense blood red shade, that some women shy away;but a perfect wear for anytime during the day or at night by anyone. The Cocoa Burst is a mature version of light brown, which is again not very deep shade. 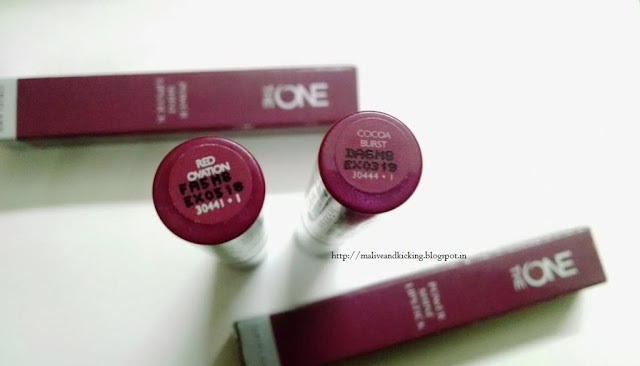 Both the lipcolors are buttery light in texture and will aid in luscious lips by smooth application effortlessly. Despite the nearly creamy formula, it won't bleed at all. The moisture offered by the lipstick lets you skip the layer on lip balm underneath and you may pose with a super glamorous pout without worries of chapped, dry lips. Speaking about the colour buildup, the lipsticks give sheer shine and tint due to mildly infused shimmer. The one-swipe medium coverage can be intensified by 2-3 repetitive swipes. On my lips, the lipsticks stayed no longer than 2-3 hours without any meals which is somewhat low. If reapplication is not an issue, then the impression of fuller lips that these lipstick create will steal your heart in no time. 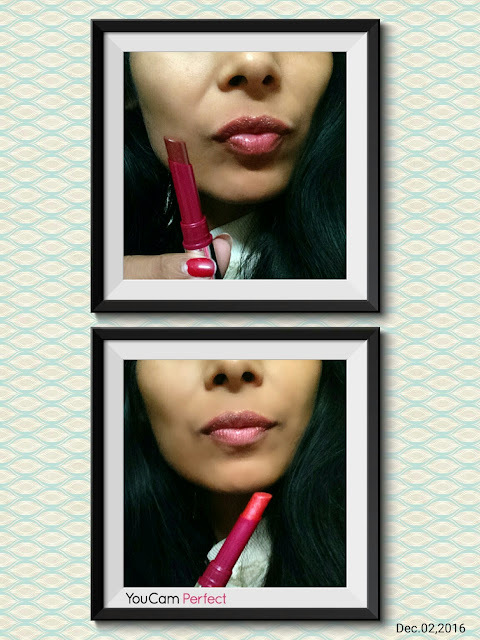 Highly recommended for young girls or the pretty women who are crazy for tinted, sparkled lips. Availability: Check out what all shades are available to choose from here for Rs. 499 each. Thanks for ur love Jayanthi. The pink shade looks kind of shimmery but it is pretty. 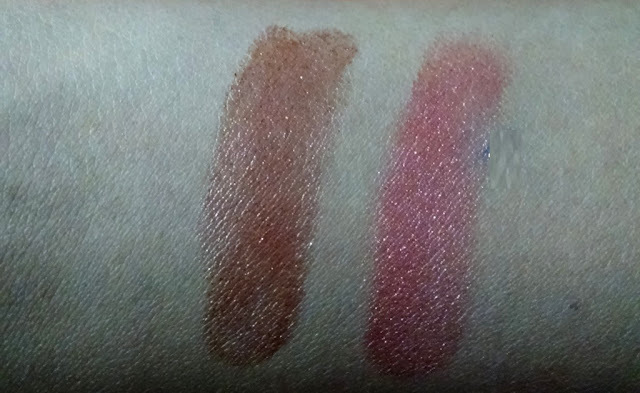 Both shades are slightly shimmery that doesn't bother.